Goetsch et al.2005 classification used mostly non-coding sequencies in RPB2-I. Exon areas is cut out before use (B. Hall 2007). ITS do not have important sequences. RPB2-I and ITS have more gaps and therefore difficult to work with. No gaps in matK coding area. RPB2-I sequence exon23-24 gave a lot of "noise" using some programes, mostly from parts of exon 23 and 24 if exons is not cut out. Goetsch et al. data are very informative and the largest to day and the "noise" give only minor problems? -yellow highlights is something I think about 1/4-2007 H. Eiberg - Mange har nu fået et gruppenavn (sec./subsec.) 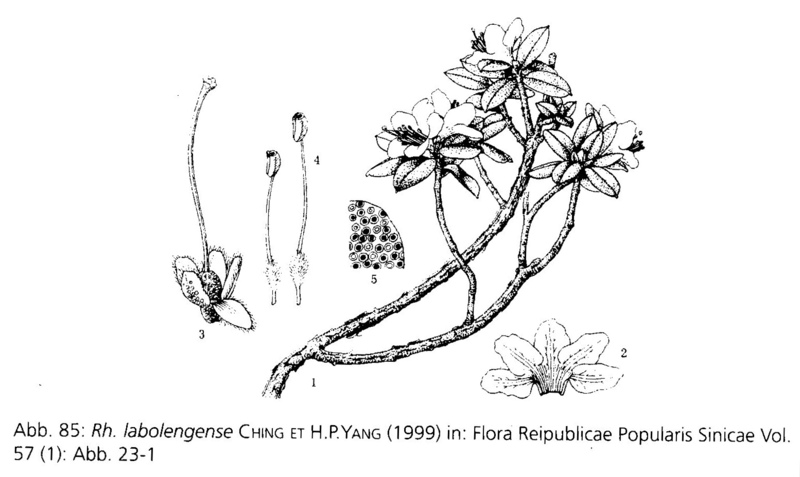 i Flora of China ** komentarer. Flora of China’s klassifikation er delvist bygget på DNA analyser. 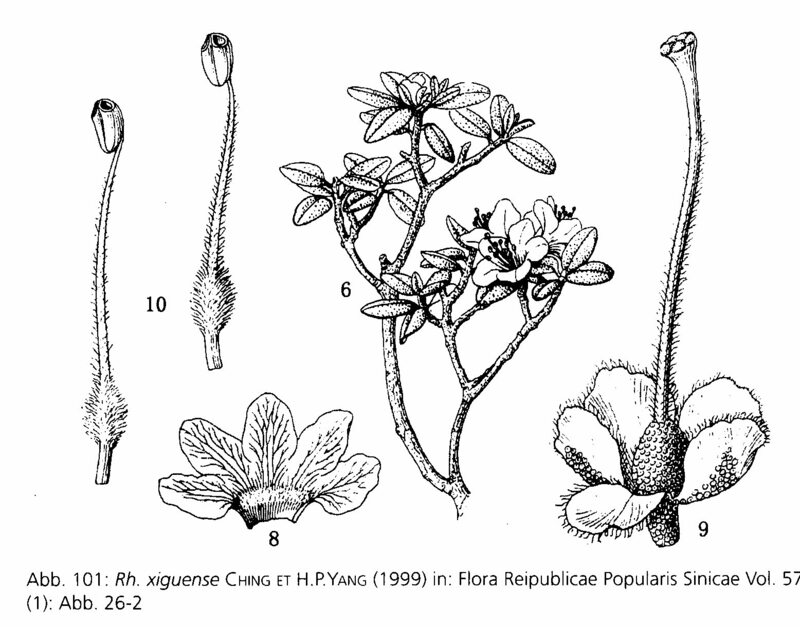 Flora of China's classification is partly built on DNA analysis. Craven, L.A. (2011). 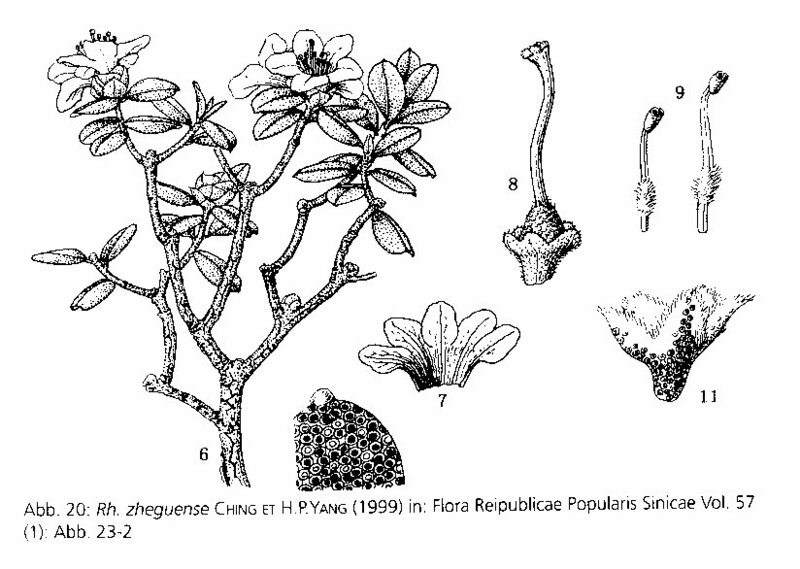 Diplarche and Menziesia transferred to Rhododendron (Ericaceae). Blumea 56: 33-35. 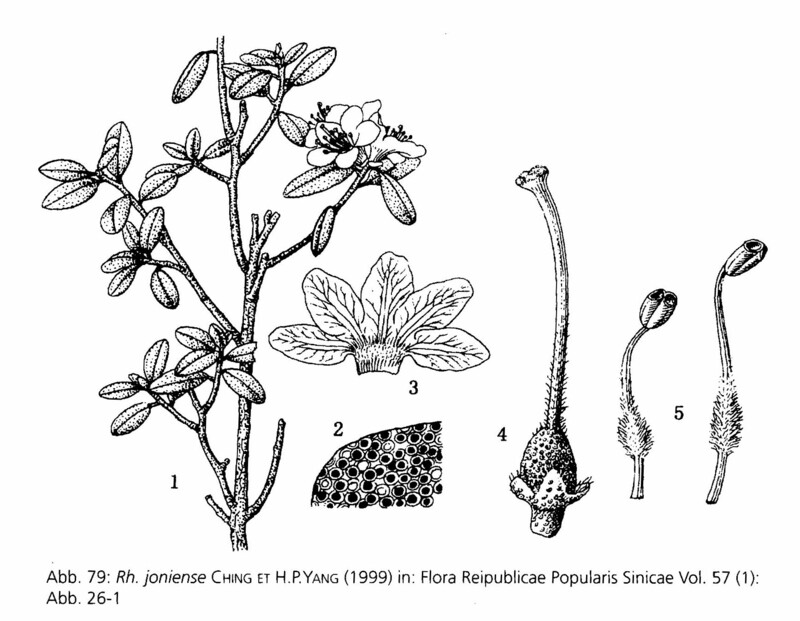 Abstract:  The genera Diplarche and Menziesia have been shown to be nested in Rhododendron based upon cladistic analyses of DNA data. R. multiflorum var. 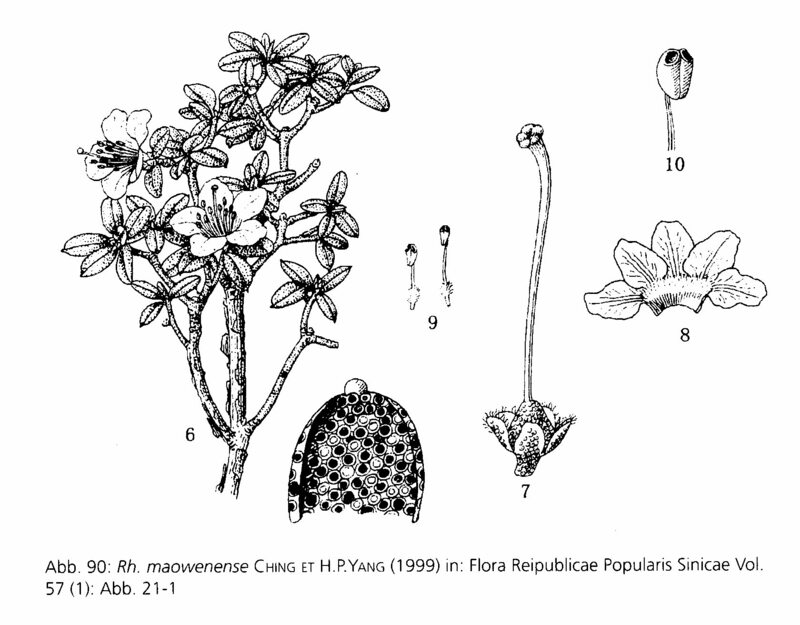 purpureum, R. pentandrum, R. pilosum, R. sophistarum, R. yakushimense. 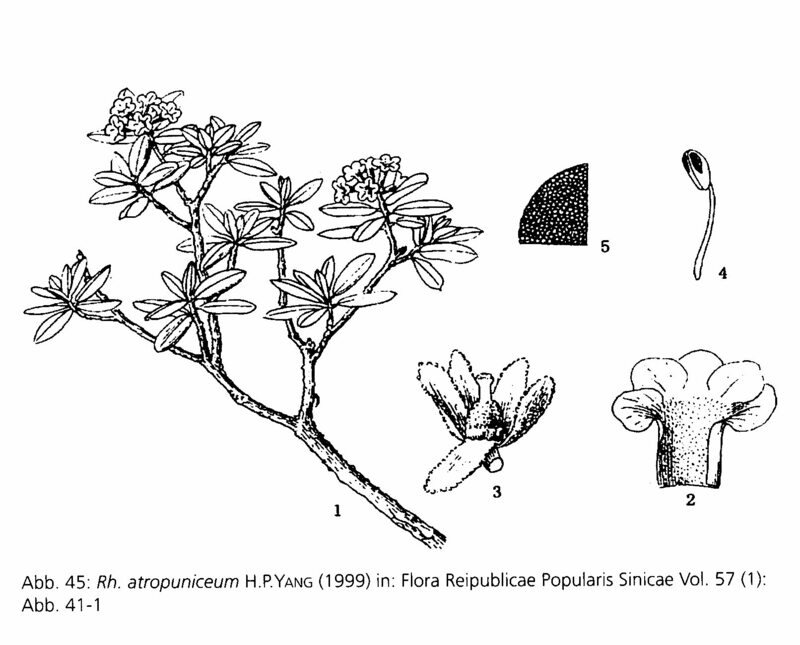 Title: Revision of some problematic taxa of Rhododendron sect. Tsutsusi (Ericaceae) from China. and R. myrsinifolium are also provided.